The elements of Antony Gormley’s works appear intended to be almost tangible to the viewer. These works on paper are presented in a way that utilise surface, almost like skin, in its ability to reject or take hold of whatever it comes into contact with. Until Saturday 8th August, Antony Gormley’s series of drawings under the exhibition title Space Stations, will be on display to the public at Newcastle’s Hatton Gallery. The exhibition is the product of work produced between 2002 and 2014, throughout which we have been privy to often large scale projects and pieces by the artist, most famously including sculptures like our own Angel Of The North, and more recently large scale sculptural installation, Expansion Field 2014-2015. With the creation of both drawn pieces and sculpted pieces running in tandem, Space Stations demonstrates Gormley’s desire to explore the versatility of the thematic centering on the body and the spaces it inhabits. In these drawings attention is drawn to architecture and that which the body calls into question, the exhibition explores new modes of thinking that are primed for open-endedness. Tonal variance and the bleeding nature of the materiality gives these drawings a three dimensional quality that serve as affirmation of Gormley’s thematic enquiry into the body, space and architecture, with anatomical inference. It is almost reminiscent of Sumi-ink practice in the visual sense, which sources inspiration from the natural environment. By invoking traditional practice that celebrates the natural world, Gormley somewhat unites bodies of the past and present in drawing; becoming part of a continuous dialogue about the spaces in which bodies inhabit. 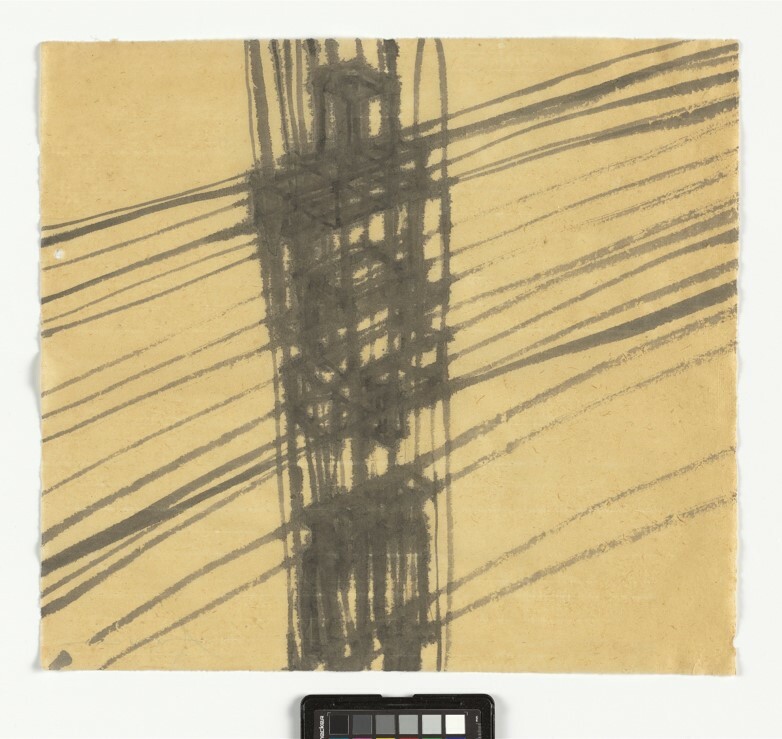 Part of a Year Of Drawing series, which will also include exhibitions, events and writing, this exhibition also seeks to foreground the role of drawing as a part of artistic practice; one that in the case of Antony Gormley, is seen to connect to other pieces of different materiality. Antony Gormley’s Space Stations is at Hatton Gallery, Newcastle until Saturday 8th August.